Triangle Equities approached us with a need to introduce an innovative warehousing concept with best-in-class space and ease of access to JFK airport and major roadways, facilitating air logistics and e-commerce distribution operations. Our teams ultimately chose Terminal Logistics Center, transforming the brand to represent the constant action and operations taking place. It was essential that the new name for the Triangle Equities project communicated the breadth and capabilities of the development. How memorable is this name? How reputable does this name sound? How strongly is this name tethered to its location? Our color scheme stayed true to the Triangle Equities branding palette, and was balanced by a neutralizing gray. We created a gradient version of the logo, signifying the transient nature of the facility. Hidden within the logo are the letters ‘T’ ‘L’ and ‘C’. 1 Our color scheme stayed true to the Triangle Equities branding palette, and was balanced by a neutralizing gray in the accompanying text. 2 The shape of an airplane can be seen within the negative space of the logo. 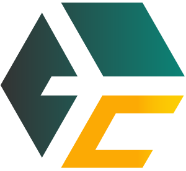 The negative space also doubles as an arrow-like shape, representing the forward direction of the activities within TLC. 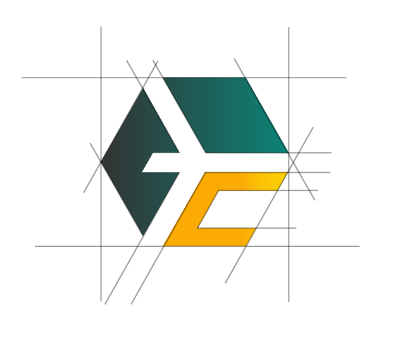 We created a gradient version of the logo, signifying the transient nature of the facility. 3 Hidden within the logo are the letters ‘T’ ‘L’ and ‘C,, 'T' and 'L' can be found within the negative space and 'C' can be detected in yellow. Barlow is a very structured and narrow typeface that resonated well with TLC’s content and mission. In opting for a highly stylized font, we found the font was bold enough to convey TLC’s messaging, but subtle enough to balance out the featured imagery throughout the site. With over 200,000 VPD, and hundreds of thousands of passengers at JFK daily, TLC offers one-of-a-kind exposure and exceptional branding opportunities for prominent tenant logos on the building. In designing the Terminal Logistics Center website, we wanted the development plans and aerial renderings to truly shine through and be the centerpiece of the design. We added a parallax and reveal effects engage visitors as they navigate through the website for an enhanced user experience. As the development is constructed, we anticipate providing continued support of the TLC brand both inside and outside of the facility. Positioning the development before all prospective audiences meant designing a website with an excellent informational hierarchy. 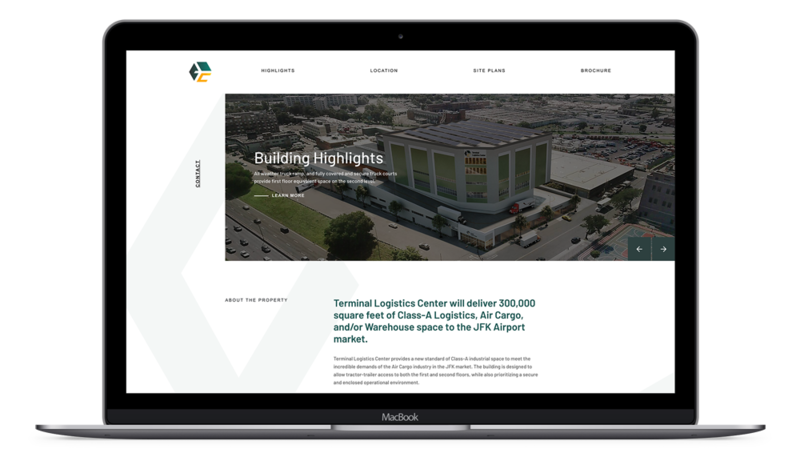 As the first vertical air cargo development on the East Coast, it was crucial that our website created a platform to introduce and highlight the site plans, letting the Terminal Logistics Center speak for itself. 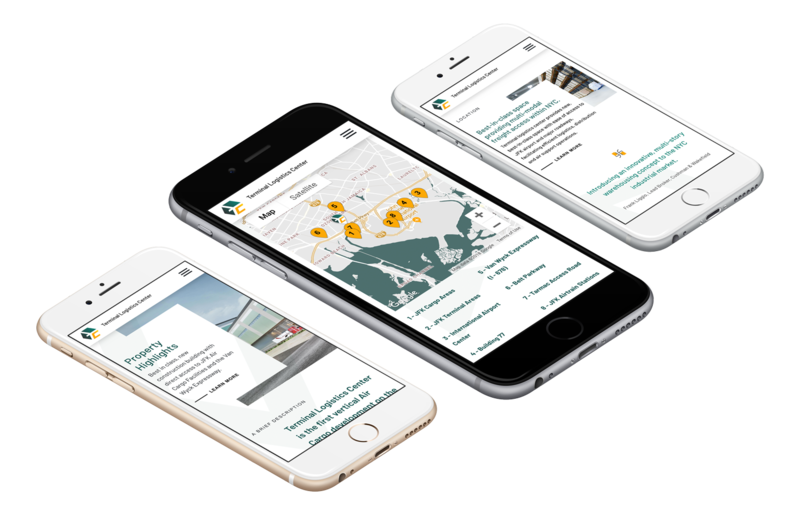 By designing a seamless user experience for visitors across all browsers and devices, we successfully created a custom solution for all targeted audiences with intuitive navigation and contact information. As the only facility of its kind on the East Coast, we are thrilled to be able to get in on the ground floor of such a significant landmark. Looking ahead, our team anticipates developing the brand further as well as helping to drive awareness to prospective tenants and the surrounding community.